Home minister Bhupendra Singh is likely to move out from Khurai. Higher education minister Jaibhan Singh Pavaiya’s situation too is not that comfortable. BHOPAL: The inevitable burden of anti-incumbency coupled with local factors, including the rising unrest against the Amended SC/ST Act in Madhya Pradesh, has put poll prospects of more than half of the BJP ministers in danger. Right from nine out of the 21 Cabinet ministers to at least eight out of the 11 ministers of state, around 15-17 out of the total 32 ministers (53%) of the Shivraj Singh Chouhan government could well be on sticky wickets in their constituencies, if multiple feedbacks about their poll prospects are anything go by. Health minister Rustam Singh (Morena), finance minister Jayant Malaiya (Damoh), PHE minister Kusum Mehdele (Panna), agriculture minister Gourishankar Bisen (Balaghat), power minister Paras Jain (Ujjain North), industries minister Rajendra Shukla (Rewa), PWD minister Rampal Singh (Silwani), urban development and housing minister Maya Singh (Gwalior East) and new and renewable energy minister Narayan Singh Kushwah (Gwalior South) — all Cabinet ministers — are said to be in the red. 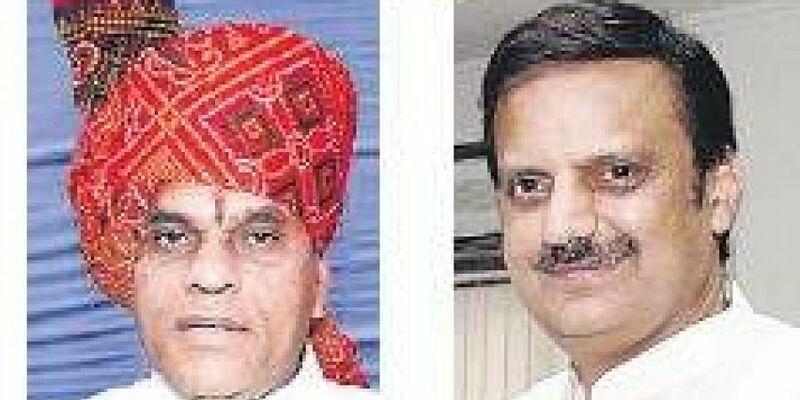 Home minister Bhupendra Singh is likely to move out from Khurai. Higher education minister Jaibhan Singh Pavaiya’s situation too is not that comfortable. Also, eight of the 11 MoS, including Deepak Joshi (Hatpipliya), Lalita Yadav (Chhatarpur), Lal Singh Arya (Gohad), Sharad Jain (Jabalpur North), Surendra Patwa (Bhojpur), Harsh Singh (Rampur Baghelan), Sanjay Pathak (Vijayraghavgarh) and Suryaprakash Meena (Shamsabad) are in trouble. Some of them plan to try from other seats. Sources revealed out of the 15-17 ministers, the most vulnerable are those who won by a close margin last time. Such ministers include Rustom Singh who won his seat by 1700-plus votes, Maya Singh (1,147 votes), Lalita Yadav (2,200-plus votes), Sanjay Pathak (900-plus votes), Suryaprakash Meena (3,000-plus votes), Gourishankar Bisen (2,500 votes), Jayant Malaiya (4,900-plus votes) and Deepak Joshi (6,000 votes). Another factor is local issues as well as negative image of non-availability or least accessible to constituency electorate.Also, the unrest of the upper caste and OBC population (which 60% plus of the total voter base of MP) against the amended SC/ST Act is going against those ministers, who come from Gwalior-Chambal region, Vindhya region, parts of Mahakoshal and Bundelkhand, besides Ujjain division of Malwa-Nimar region. If SAPAKS contests the poll, it might emerge as a spoilsport to both BJP and Congress on at least 30-50 seats.